Tears for Fears meetups are back in full swing in so many parts of the world. These mini-events are conducted by regional clubs as a way to keep everyone in touch while enjoying the energy of the band’s music. They are attended by 3 to 35 individuals at a local bar, restaurants, clubhouses, hotel ballrooms and sometimes right after a show. Back in 2012, TFF’s Charlton came by… how cool is that? At some events, DJs are hired to play and spin remixes of songs and in some cases new musicians inspired by the band are on hand with a guitar ready to go with their own salutes to the group. Meetups can take on the form of small conferences which usually take place around shows i.e. Vegas/Hendersonville. 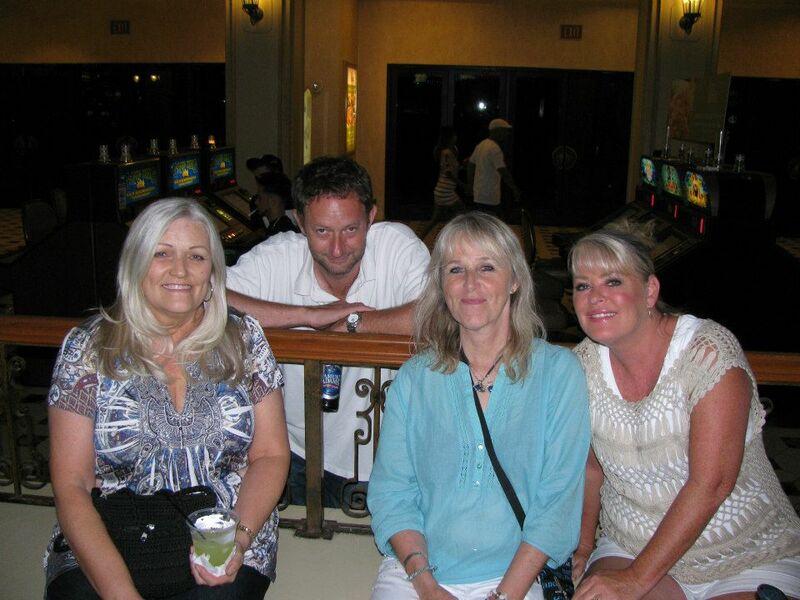 These gatherings can sometimes last for days with members getting to know each other rather well. 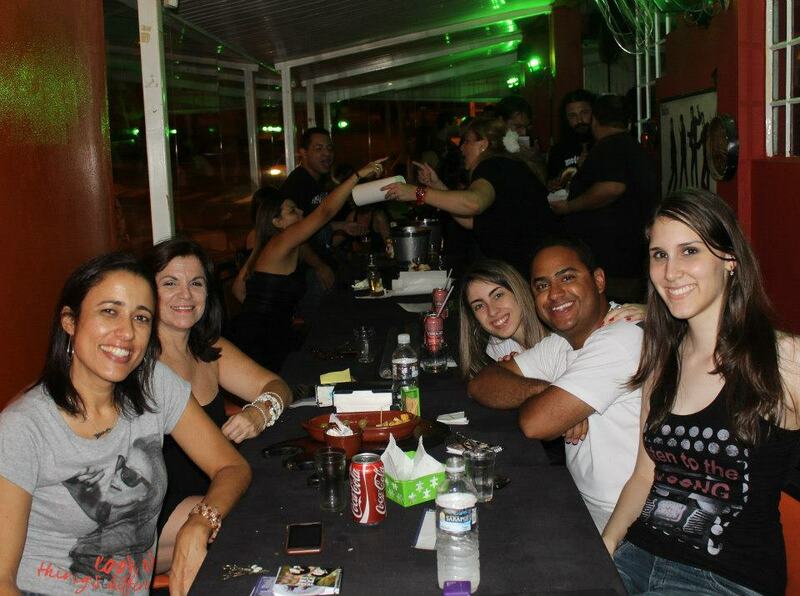 A recent MeetUp was in Sorocaba Brasil at Back Road Bar. It was attendeed by Tears For Fears superfans Gregori Lisboa, Ju Vannucchi, Carolina Mantovanni, Nilda de Fatima Amorim, Claudia Beneli, Alexandre Chagas, Glaucia Souto, Giovani Marcello, Silvia Vannucchi, Bruno Ernandes and others. One of the members was responsible for the banner and what a beautiful job they did with it. Look at that! Much like the dedicated travelling fans, Brasil’s fans i.e. our fan team lead Marcio Campos and his Sorocaba pal Gregori Lisboa, are known for their awesome love and energy for Tears For Fears. Ask just about any Brasilian who lived in the country during the 80s and 90s…they’ll tell you how much the country loves the band. Now, those fans have families of their own (i.e. 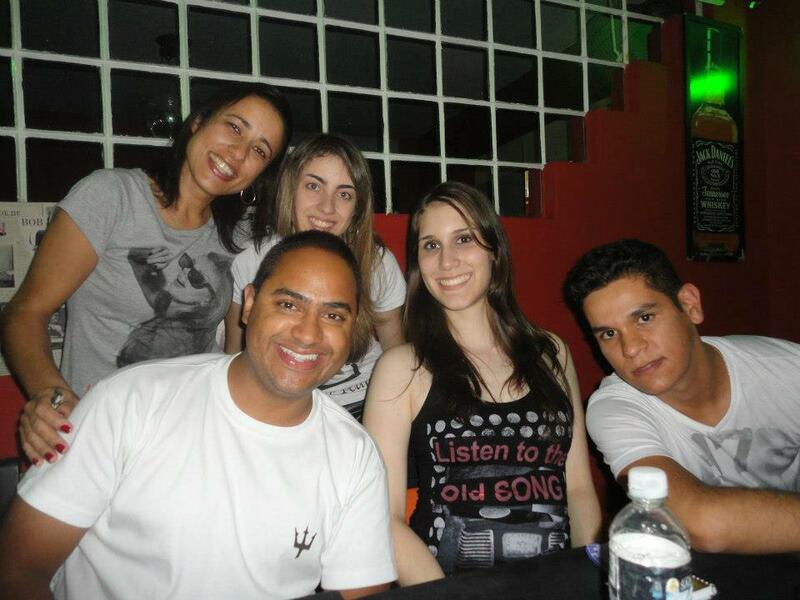 Marcio), They’ve brought their children along for the fun, turning TFF’s concerts into a family affair. 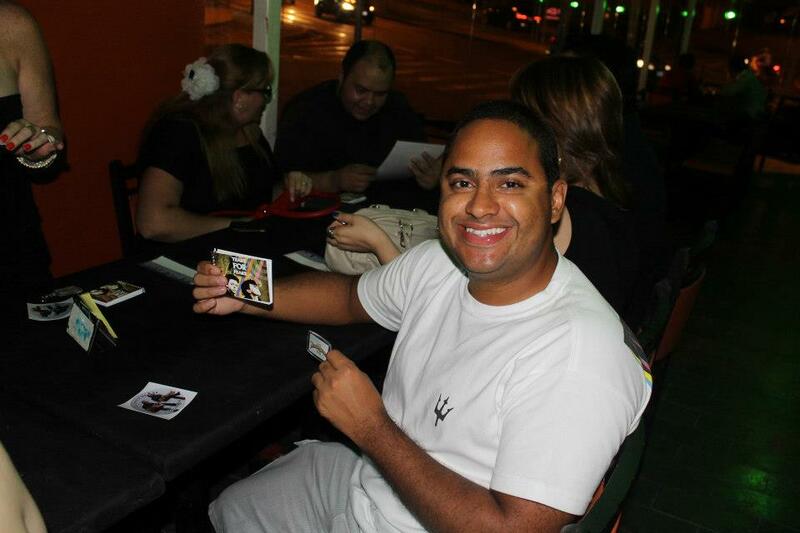 At the Sorocaba meetup, members brought souveniers and other cool things to swap and share with each other. Some of the other meetups featured sing-a-longs, DVD screenings of the band’s past concerts and movies in which their music has been used i.e. Weird Science. A few from the stateside team watched The Private Public, a film in which Curt smith played the part of a University Professor, at an Atlanta Clubhouse tea room in late 2010. There are plans to put a few meetups together in honour of Curt’s next appearance on the USA network’s popular television show Psych. If you and your fellow Tears For Fears fan pals are getting together soon let us know. We look forward to more gatherings, larger conferences, more shows and music from those inspired by the band and of course the band themselves! Posted on 10/03/2013 10/04/2013 by International Business and Cultural ExchangePosted in Collaboration Wishes, How to join the Travel Fans, Marci Campos -Brasil Rep for TFF Travel Fan Team Lead, Meet The Fans, Tears for Fears Regional Fan Club News & Online FunTagged Curt Smith's Kooks, Music Fan Clubs, Tears For Fears fan clubs, Tears for Fears Superfans, TFF. Next Next post: Busy in Band Land -The Perch is On! Rocktober! What a lovely surprise in this beautiful afternoon in Brazil!!! Thank you guys, you are amazing!! Thank you so much for sharing your meetup with us! Join us on Facebook “Tears for Fears & Kooks” -info and meetup times are posted there. You can also connect with the Brasil fans “Gregori, Marcio and Ju” for respectable, comfortable and lively meetups…in that order. Cheers!